Come join us... It's as easy as 1, 2, 3! The February 2019 edition of AMAL Tales is published. The AMAL website recovered from a January 5, 2019 hardware failure. Email and web services are again functional. Check out the report from the 2018 National Specialty and this years Christenson Award winners! The November 2018 edition of AMAL Tales is published. Roughly 70 puppies and 25 adult dogs, mostly malamutes, were seized by Butte County Animal Control from backyard breeder in Concow, California. The AMAL Board and AMCA have been in contact with the Northwest SPCA in Oroville, California, the shelter handling the dogs. AMAL under its president Tina Dunn will be the primary contact for malamute rescue, with Sharon Nichols and Mike Ulman as backups. At this time, Northwest SPCA is working with other Butte County shelters which are caring for some of the dogs, who are suffering from giardia, coccidia, kennel cough and other diseases, and indicates that it will be at least (approximately, as it could be sooner) a month before any dogs are released. Because of the dogs’ medical issues, the shelter will only be releasing dogs to shelters capable of close medical supervision. What they don’t want is a “foster care” type situation or various individuals. At this time, the dogs have not been evaluated for temperament and it has not been determined how many are purebred malamutes, how many are German shepherds, and how many are mixes. Shelter personnel should be able to get a feel for the individual dogs’ temperament over the next month. It also looks like the shelters are able to accommodate the dogs until the legal issues are determined. After that point, if vet needs have been met and if Northwest SPCA needs AMAL’s assistance, we will be contacted by the Northwest SPCA. This is the Northwest SPCA’s call; AMAL has indicated that we are available and will respond as needed. Because of the attention on social media, the Butte County shelters and animal control have been swamped with phone and email inquiries about the dogs, so they have asked that all malamute rescue contacts with them go through AMAL. Please do NOT call or email the shelter. The November 2017 edition of AMAL Tales is published. Please remember to sign up for Amazon Smile and indicate AMAL as your preferred charity before you start your holiday buying! 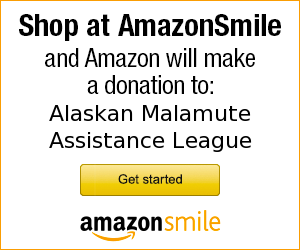 Shop for everyone on your gift list this season at Amazon Smile and Amazon will directly donate to Alaskan Malamute Assistance League. The 2017 AMCA National Specialty Rescue Showcase is now available on Youtube. Please check it out along with the 2017 Christenson Award winner and updated news in the National Specialty section. This year’s BOB is Vincent. The recent flooding in Texas due to Hurricane Harvey has put a strain on malamute rescue. 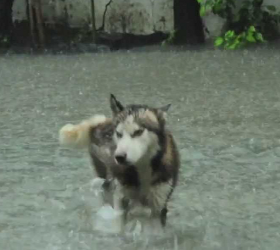 Donations for malamutes in need during the flooding may be made directly to Texas Alaskan Malamute Rescue (TAMR) or to AMAL (Please specify for TAMR). Thank you for your support during this difficult time. The August 2017 edition of AMAL Tales is published. 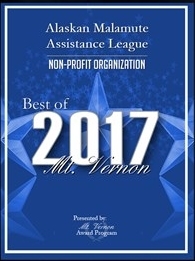 AMAL website is selected for the 2017 Best of Mt. Vernon Awards for non-profit organization. Welcome to the new Alaskan Malamute Assistance League website. Hope you enjoy the new site.